Both programs are for a 1,000 sq. ft. garden.A 1,000 sq. ft.garden would include 20 rows 2 feet wide and 25 feet long. This program is for operations that are certified organic. Certified operations are restricted because they have to use pre-approved materials. Most of these restrictions can be overcome with biology, time, and a little bit of creativity. Filing the paperwork to be certified organic allows you to label and market your products as organic which may allow you to collect a premium price at the market. It should also be noted that both the sustainable and organic programs are perfectly capable of producing high quality products. Quality is NOT guaranteed simply because things are done sustainably or organically. For 1,000 sq. ft. garden. Click each step below to reveal more information. 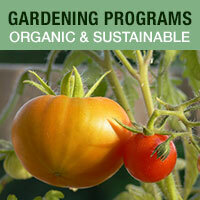 A sustainable program is similar to an organic program. It seeks to have a small impact on the environment and to work with nature. Sustainable fertilizers and products are beneficial to soil, microbial and plant health but don’t have the paper work to be “certified organic”. One advantage is that ‘sustainable’ growers are not restricted in the soil amendments or fertilizers they use. Thus they can drastically affect their operations in a very short amount of time. It should also be noted that both the sustainable and organic programs are perfectly capable of producing high quality products. Quality is NOT guaranteed simply because things are done sustainably or organically. Water into the soil along side plants; repeat in 30 days.